The weather is nice and you’ve got some vacation time coming up. Grab your sandals, shorts and a t-shirt and get out there an enjoy life. 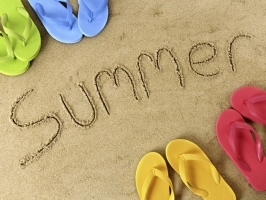 Jeff Schwartz, executive director of Consolidated Credit Counseling Services of Canada, Inc., has a list of ways you can enjoy the summer sun while sticking to a budget. You can check out his latest post on InsideToronto.com by clicking here.